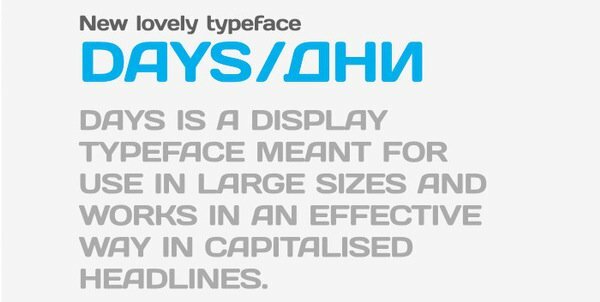 Days is another neat and free typeface, again found on Behance, a real treasure trove of delights. This is so clean, modern and stylish. Love the curves, the rounded edges, the compact ‘squared’ feel. I can see this being perfect for certain styles of logo designs. There is only one weight which is a shame, as I feel it would really benefit from a slightly thinner version, but only minor gripe given it’s a complete typeface in every other regard. It’s free for use and available for Mac and PC as a OpenType format. 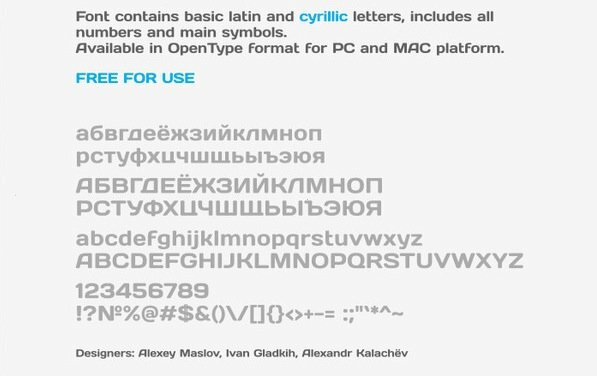 Includes all basic latin and cyrillic letters, numbers and symbols. The original link for this download has since vanished. This is an alternative link below.